What does a novelist owe to the past? How does a writer walk the tightrope between telling a story and accurately reflecting history and geography? Acclaimed novelist Michael Crummey reflects on these questions in the annual Henry Kreisel Lecture in Edmonton, presented by the Canadian Literature Centre at the University of Alberta. **This episode originally aired September 7, 2018. What does a novelist owe to the past? How does a writer walk the tightrope between telling a story and accurately reflecting history and geography? Acclaimed novelist Michael Crummey reflects on these questions in the annual Henry Kreisel Lecture in Edmonton, presented by the Canadian Literature Centre at the University of Alberta. Along the way, he offers some truths about Butch Cassidy & The Sundance Kid, and, in Kurt Vonnegut's words, puts on "a suit of armour and attacks a hot fudge sundae". That 'hot fudge sundae' is The Bird Artist, a 1994 American novel by Howard Norman. It's set in Newfoundland before World War I, but apart from a few place names, bears absolutely no relation to the real province or people. Michael Crummey entertainingly dismantles the novel, but he also wonders, "Am I being ridiculous, to feel alternately furious and demoralized by the book? Norman isn't writing history, not even in the way Wayne Johnston is in The Colony of Unrequited Dreams. The New York Times review of The Bird Artist referred to it as a fable, claiming its whimsical details lend it a fairy-tale quality. Which suggests we aren't meant to take any of this as a literal reflection of the world. And it may be that I am in the wrong here, that I am faulting The Bird Artist for failing to be something its author never intended. But it is impossible for me, and for anyone with even the vaguest sense of the realities of life in Newfoundland, not to feel insulted by the book's cavalier use of the place for its own ends." What about the old argument that a writer's only responsibility is to tell a compelling story, one that may somehow illuminate the human condition? That fiction is not really responsible to facts and history and geography? 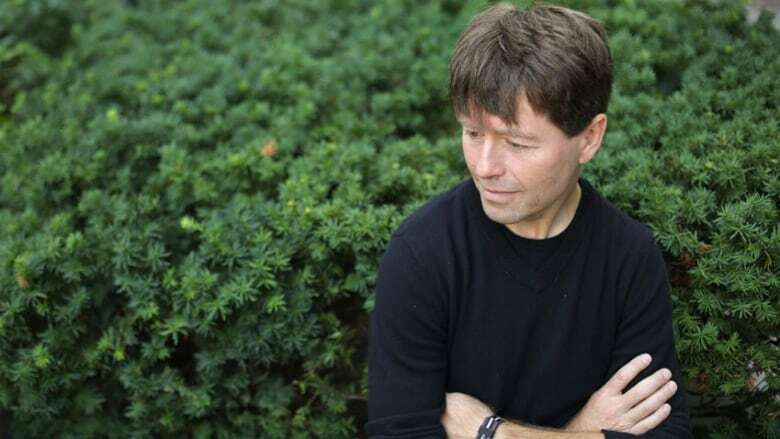 Michael Crummey argues that "the romantic in me still wants to say a good story is any story that feels true to the reader, and for many people I imagine that is the only measure that matters. But the entire point of this lecture...has been to add one proviso to that romantic notion. On some level all creative writing is an act of appropriation — an appropriation of the real to our own individual and often inscrutable ends. And in that process, despite our best intentions or because of them, there are inevitable distortions and adjustments and blind spots and mistakes that snake their way in. Even where writers aren't being nakedly exploitative, their relationship to the truth, to what we think of as the real world, can't help but be provisional, can't help but be subjective, and we would do well to keep that in mind regardless of how convincing a book is." Michael Crummey was born in Buchans, a mining town in the interior of Newfoundland and lives in St. John's. He's the author of 14 books of fiction, non-fiction and poetry.